Si vous aimez la noix de coco, ces petites bouchées sont pour vous! Moelleuses, parfumées à l’eau de rose, elles sont vite préparées pour garnir vos plateaux de fêtes. Concoctées sur le principe de pâte d’amande cuite,vous pouvez varier les couleurs pastels et les parfums. La mesure utilisée est selon vos désirs, pour une petite quantité, histoire de tester seulement , vous pouvez prendre une tasse de café comme référence.Sinon vous pouvez prendre un verre ou un bol comme mesure. – Faire dissoudre le sucre dans le mélange lait/eau de rose dans une casserole. – Porter à ébullition puis laisser épaissir le sirop à feu doux. – En fin de cuisson rajouter une noix de beurre, ôter du feu et laisser refroidir un peu. _Mouiller petit à petit, en malaxant, la noix de coco avec le sirop jusqu’à l’obtention d’une pâte malléable et souple. – Partager la pâte en trois et colorer progressivement et délicatement une part en rose, une en vert et laisser la troisième en blanc .Ayez la main légère sur les colorants pour obtenir des couleurs pastels. – Mettre la pâte au frais pendant une heure ou deux. – Façonner des boulettes de la taille d’une petite noix en mélangeant les trois couleurs. – Rouler dans du sucre cristallisé et garnir d’une petite perle en sucre. – A conserver au frais dans une boite hermétique, s’il en reste !! Comme aujourd’hui, Arafat 2013, merveilleux souvenir! Que Dieu accepte vos bonnes actions et exauce vos vœux inchallah! Tags::Mignardises, Noix de coco, Aïd el kebir,pâtisserie orientale algérienne ,gâteau ,Gâteau Economique,Algérie,Gâteau Pour l’Aid ,Gateaux Secs,Petits Fours. Pour l’Aïd el fitr, on avait préparé avec ma fille des petits sablés en forme de khamssa (main de Fatma) pour tester les nouveaux moules et emporte pièces mis sur le marché. Vous avez eu l’occasion de voir ceux de ma fille ici et voici les miens en version plus gourmande car j’avais glacé les sablés au chocolat avant d’y coller les petites mains en chocolat. Il existe aussi d’autres moules sous forme de babouches, théière ou tajine. Vous pouvez utiliser votre pâte sablée fétiche, pour ma part je reste toujours fidèle à celle ci qui me donne entière satisfaction, elle est fondante, savoureuse et ne se déforme pas à la cuisson. Pour une pâte sablée chocolatée vous pouvez remplacer 2 cuillère à soupe de farine par l’équivalent en cacao de bonne qualité. – Travailler en pommade le beurre ramolli, le sucre glace et la vanille. – Mettre dans un plateau garni de papier cuisson et enfourner dans un four préchauffé à 150° pendant 15 mn . – Après cuisson laisser refroidir . _Pour les petites mains, bien nettoyer le moule avec de l’alcool et y faire couler le chocolat fondu au bain marie. _Faire prendre au frais, puis démouler,garnir de brillant si on le désire. _Fixer sur les sablés avec un peu de chocolat fondu. En absence de moule pour faire les petites mains en chocolat, vous pouvez décorer vos sablés avec du chocolat fondu mis dans une poche à douille jetable coupée finement et des perles comme l’a fait ma fille. Style har9ouss très joli aussi! PS: Comme vous êtes nombreuses à me poser la question sur la provenance des moules utilisés dans cette recette, je tiens à vous préciser qu’ils ont été achetés en Algérie dans des boutiques spécialisées en articles gâteaux. Par ailleurs je n’ai aucune idée sur les lieux ou sites où on peut se les procurer en France ou autres pays. Comme vous êtes nombreuses à me poser la question sur la provenance des moules utilisés dans cette recette, je tiens à vous préciser qu’ils ont été achetés en Algérie dans des boutiques spécialisées en articles gâteaux. Par ailleurs je n’ai aucune idée sur les lieux ou sites où un peut- se les procurer en France ou autres pays. Tags::Sablés,Mignardises, Aïd el kebir,pâtisserie orientale algérienne ,gâteau ,Gâteau Economique,Algérie,Gâteau Pour l’Aid ,Gateaux Secs,Petits Fours. 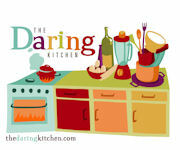 My name is Kouky from » Cuisine à 4 mains« , I have been a member of the daring kitchen since April 2011 . I had the pleasure of discovering a great deal of new techniques with the Daring Bakers .The group allowed me to improve my baking skills and discover a multitude of culinary treasures from across the globe. Griwech is an Algerian pastry prepared with a thinly flatened dough , shaped in different ways , then fried and coated in honey and finally sprinkled with sesame seeds. Etymologically « griwech » in Algerian Arabic means » crunchy ». Indeed, the pastry is a full flavoured delicacy that has both a melt -in – the mouth and a crispy texture . The pastry finds its roots in the western regions of Algeria, particularly in cities such as Oran and Tlemcen then later spread into the rest the country. It’s so popular that every year, a myriad of versions are introduced that makes this pastry a much loved and up to date treat . Griwech is very much appreciated during religious celebrations, weddings and mainly during the Muslim fasting month of Ramadhan , where it’s often served with a glass of mint tea. I would like to suggest three different recipies and a multitude of shapes for you to try, in addition to the homemade syrup that would be used to coat the griwech. It is important to keep the oil at the correct temperature and fry the pastries in batches to give them room to puff and brown evenly. Oil that is too hot burns the outside of the pastry and leaves the inside underdone. If it is not hot enough , pastries cooks slowly and retain more grease. Before frying ,heat the oil to 365 degree F or 375 degree F ( 190 to 194 c) Use a frying thermometer to check and monitor the oil temperature. – In a large bowl, blend the flour, instant yeast, baking powder, sugar, salt and vanilla powder. Mix well. – Make a well, add the melted and cooled butter, beaten egg and orange blossom water and mix well. – In a large bowl place the orange blossom water, oil, vinegar, egg whites and salt. – Mix well with a fork and add the sifted flour and baking powder .knead till you get a smooth and rather hard dough ( not too soft ). – Take a ball of dough and flatten slightly by hand. – Sprinkle your board with corn flour. With a rolling pin, flatten the dough into 2 to 3 mm thickness . If you prefer crispy result , flaten it as thinly as you can . If not , leave it a bit thicker. -Inside each rectangle, make 4 to 5 cuts lengthwise without cutting the dough through . 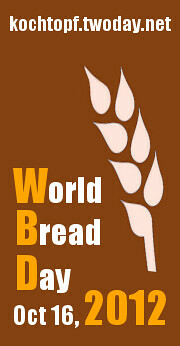 This will result in 5 strips of 1 to 1.5 cm wide of attached dough. -Then pass thumb through and pinch the upper left corner of the rectangle and pull it gently between strips to slide down off the other side (see picture) This will result in a braided shape. Place the braids on a tray. Cover with plastic wrap so they will do not dry out. -Once they are golden brown, flip over to cook the other side. Remove from oil using a slotted spoon and drain on a tray covered with paper towel to absorb any excess oil. -Place in an airtight container .Keep uncovered for several hours till they are completely cooled. – Cut flowers using 3 cookie cutters of the same design, large, medium and small. – Place a large flower, brush with egg white.put a second large flower on top then two mediums and one small ,making sure to apply white egg each time . Finish by inserting an almond in the center to maintain the flowers. – Heat oil in a deep fryer, then reduce heat and fry the flowers by sprinkling oil over with a spoon.this allows the flowers to puf and get golden brown colour. flip to cook the other side. -Drain on a paper towel .allow to cool then dip them in warm honey flavoured with orange blossom water . Let drain . – Place the pastries on a tray. Cover with plastic wrap so they don’t not dry out. -Place the pastries on a tray. Cover with plastic wrap so they don’t not dry out. -Onces they are golden brown, flip over to cook the other side. Remove from oil using a slotted spoon and drain on a tray covered with paper towel to absorb any excess oil. -On a slightly cornfloured board , stretch a ball of dough lengthwise using a rolling pin .flaten as thinly as possible to get long strips. Use pasta machine if available. – With a pastry wheel, cut long strips of desired width .place them on a tray and cover with plastic film so that the dough does not dry out. – Prick the end of each strip with a fork. Wrap a two prong fork with one end of the strip while holding the other end with the hand .Deep fry and keep rolling the strip around the fork to get a beautiful rose shape. Remove from oil when it is lightly browned. – Plunge the pastries in a warm honey flavored with orange blossom water .Allow the pastries to soak for few minutes till you get an amber -like color. Drain then sprinkle both sides with Crushed pistachios. -Roll out the dough on a work surface dusted with cornflour and fold over like a wallet .flaten the dough again another 2 or 3 times to 2 mm a thickness. Cut into big retangles. – sprinkle thesurface with cornflour and pass one rectangle through the pasta machine using the spaghetti attachemen to get fine and long strips. -With A knife cut where it was pinched.Press the ends so that the pastry does not open while frying. -Place the pastries on a tray. Cover with plastic wrap so they don’t dry out. -Plunge the pastries in a warm honey flavored with orange blossom water .Allow the pastries to soak for few minutes till you get an amber -like color. Drain. – Roll out the dough on a work surface dusted with cornflour and fold over like a wallet .spread the dough again another 2 or 3 times. -With a pastry wheel make four diagonal incisions at each corner making sure not to reach the centre of the square. – fold one half corner into to the centre, skip the other half corner and fold the folowing to the middle of the square.Continue folding every odd corner to get a windmill form. Press the center to maintain the shape. Plunge the pastries in a warm honey flavored with orange blossom water .Allow the pastries to soak for few minutes till you get an amber -like color. Drain. Industrial honey can be bought from any regulat store. Traditionally , orange blossom water or rose water are added to honey to flavour and dillute it. But if you have difficulty finding them you can dilute the honey by adding water and vanilla , or just water. – Mix a cup of sugar and 1 cup water and place in a saucepan over medium heat. – In the meantime ,put the other cup of sugar in another saucepan, moisten it with 2 tablespoons of water, put on high heat at first then decrease and caramelize. – Pour the caramel gently over the sugar-water mixture. it will bubble at the beginning. Stir and add a few drops of lemon juice to prevent crystallization of the sugar and the flavor of your choice. Leave over medium heat for ten minutes then turn off. The Caramelisation of the sugar is optional. Its purpose is to provide the homemade honey its typical amber colour . you can choose to avoid this step and just mix sugar with water. -Do not heat up the honey for too long as It will thicken more as it cools. – Griwech can be stored in a sealed container in the refrigerator for up to 2 weeks. You can store it in the same sealed container in the freezer for three months. The Daring Kitchen and its members in no way suggest we are medical professionals and therefore are NOT responsible for any error in reporting of “alternate baking/cooking”. If you have issues with digesting gluten, then it is YOUR responsibility to research the ingredient before using it. If you have allergies, it is YOUR responsibility to make sure any ingredient in a recipe will not adversely affect you. If you are lactose intolerant, it is YOUR responsibility to make sure any ingredient in a recipe will not adversely affect you. If you are vegetarian or vegan, it is YOUR responsibility to make sure any ingredient in a recipe will not adversely affect you. The responsibility is YOURS regardless of what health issue you’re dealing with. Please consult your physician with any questions before using an ingredient you are not familiar with. Thank you! Si vous êtes familier de ce blog vous avez du remarquer que chaque mois je relève des défis Daring baker et ce depuis Avril 2011. C’est une expérience amusante et enrichissante qui m’a permis de tester plusieurs recettes de part le monde et de découvrir les us et coutume d’autres peuples. En plus elle m’a permis de sortir de ma zone de confort qui veut qu’on ne prépare que ce qui nous est familier. Donc, à mon tour ce mois ci de proposer un défi à mes amies du Daring Baker. J’ai opté pour Griwech parce que je pense que c’est un véritable défi qui demande de la dextérité et de l’expérience. Pour faciliter le travail à mes amies, j’ai présenté le maximum de tutoriels permettant de façonner les Griwechs. Ce défi a été classé dans le Daring Cook parce que sa cuisson se fait dans une poêle et non dans un four. Je tiens à remercier mon amie Kaouther pour se précieuse aide dans la traduction et la mise en forme de ce billet! Boussa Kbira! Griwech est une pâtisserie algérienne préparée avec une pâte étalée finement, façonnée sous différentes formes, frite, enrobée de miel et saupoudré de graines de sésame. Étymologiquement » griwech » en arabe veut dire » qui croustille » . C’est un gâteau à la fois croustillant et fondant et plein de saveurs. Il est préparé avec peu d’ingrédients mais le résultat est délicieux! A l’origine , on trouvait ce gâteau surtout dans l’Ouest algérien , dans les villes de Tlemcen et Oran, mais de nos jours il est préparé dans tout le territoire national. Et chaque année , il y a de nouvelles versions qui sortent , ce qui fait de ce gâteau ancien une pâtisserie toujours à la page et très appréciée. Il est consommé lors des fêtes religieuses, mariages et surtout durant le mois du Ramadhan où on le déguste en soirée avec un verre de thé à la menthe. Une version similaire existe au Maroc appelée chebakiya, mais elle diffère par la constitution de la pâte qui contient des amandes, des graines de sésames et des épices réduite en poudre. Je vous propose dons trois recettes et 7 façonnages à tester ainsi que la recette de miel maison (ou sirop) qui sert à enrober les Griwechs. Alors amusez vous et régalez vous! – Dans un grand récipient, mettre la farine, la levure instantanée , la levure chimique, le sucre, le sel et la vanille en poudre. Bien mélanger. – Faire une fontaine, ajouter le beurre fondu et refroidi, l’oeuf battu avec l’eau de fleur d’oranger et bien mélanger . -Arroser d’eau tiède en travaillant jusqu’à l’obtention d’une pâte lisse et ferme. – Dans un grand récipient mettre l’eau de fleur d’oranger , l’huile , le vinaigre, les blancs d’œufs et le sel. – Bien mélanger avec une fourchette et ajouter la farine et la levure chimique tamisées .Travailler jusqu’à l’obtention d’une pâte lisse, homogène et assez dure . – Prendre une boule de pâte et l’aplatir un peu à la main . -Passer ensuite le pouce par le même chemin pour aller pincer le coin supérieur gauche du rectangle et tirer délicatement dessus (toujours entre les lanières) pour le faire sortir par l’autre côté ( voir photo). L’ensemble doit former une tresse, arranger la forme en la posant sur un plateau. Couvrir d’un film alimentaire pour que la pâte ne se dessèche pas. -Bien égoutter et disposer dans un plat garni de papier absorbant pour enlever l’excédent d’huile. -Placer délicatement dans une boite métallique et ne couvrir que quelques heures après. – Découper des fleurs à l’aide des emporte pièces , des grandes, des moyennes et des petites. – Déposer une grande fleur , la badigeonner de blanc d’oeuf, poser dessus une seconde grande fleur , puis deux moyennes et une petite en collant à chaque fois de blanc d’oeuf. Terminer en piquant une amande pour maintenir les fleurs. – Chauffer l’huile dans une friteuse profonde , puis diminuer le feu et faire frire les fleurs en les arrosant d’huile avec une cuillère. elles vont gonfler , les retourner pour cuire la seconde face. Elles doivent étre bien dorées . – Laisser refroidir puis les plonger dans du miel tiède aromatisé à l’eau de fleur d’oranger et égoutter. -Avec une roulette dentelée découper de longues bandes de la largeur désirée. Les mettre dans un plateau et les couvrir d’un film plastique pour que la pâte ne sèche pas. -Mettre l’huile dans une casserole pour faire frire les gâteaux. – Piquer le bout de chaque bande avec une fourchette,rouler une fois et plonger dans la friture en tenant l’autre extrémité dans la main. – Frire la pâte dans l’huile chaude et profonde en faisant tourner la fourchette sur elle même pour former une belle rose. Avec une seconde fourchette serrer l’extrémité pour bien la souder. – Détacher la fourchette de la pâte et cuire la rose de l’autre coté. -Arroser de miel aromatisé à l’eau de fleur d’oranger et saupoudrer de pistaches concassées pour servir . -Avec une roulette dentelée entailler chaque coin des carrés en diagonale, sans aller jusqu’au milieu du carré. -Badigeonner le milieu de blanc d’oeuf et repliez un angle sur deux vers le centre du carré et presser le centre bien faire adhérer la pâte. – Les plonger un à un dans le miel fondu tiède aromatisé à l’eau de fleur d’oranger, et laisser s’égoutter. – Mélanger un verre de sucre et 1 verre d’eau et mettre dans une casserole sur feu moyen. – Entre temps, mettre l’autre verre de sucre dans une autre casserole, humidifier le avec 2 cuillères à soupe d’eau ,mettre sur feu vif au début puis diminuer et laisser caraméliser. – Verser le caramel doucement sur le mélange sucre-eau. ça va faire des bulles au début. Attention aux éclaboussures. Remuer et ajouter quelques gouttes de citron pour éviter la cristallisation du miel, ainsi que l’arôme de votre choix. Laisser sur le feu une dizaine de minutes puis éteindre. -Ne pas trop le laisser sur le feu. le miel va s’épaissir plus en refroidissant. L’Aïd s’approche à grand pas inchallah et il est grand temps de penser à préparer les gâteaux qui garniront vos plateaux de fête et raviront vos invités. Je vous propose un classique de la pâtisserie algérienne , très proche des cornes de gazelle , Tcharek el ariane, ainsi nommé parce qu’il ne comporte ni glaçage et ni carapace de sucre glace comme c’est le cas du tcharek el matli ou tcharek lemsaker. Il est juste enduit d’oeuf battu et saupoudré d’amandes concassées. C’est la version la plus allégée du tcharek, fondante, goûteuse et tellement plus facile à déguster. Communément il est garni d’une farce au amandes mais vous pouvez opter pour des noix ou un mélange des deux, il n’aura que plus de saveur! La particularité de cette recette c’est qu’elle utilise une pâte magique, facile à préparer qui peut être utilisée pour nombre d’autres gâteaux algérois ( 3rayeche, k3ik3at, tcharek lem3assel etc..) C’est la recette présentée par Madame Naouel lors de l’émission Kouzinetna Hakka il y a quelques années de cela. Une recette qui donne entière satisfaction parce le résultat est un gâteau à la fois croustillant et fondant en bouche. -Ajouter la farine en mélangeant jusqu’à l’obtention d’une pâte maniable ni trop molle ni trop ferme. -Il ne faut surtout pas pétrir pour avoir un bon résultat. Couvrir de film en plastique alimentaire et laisser reposer au frais 1 heure au moins. -Garder dans une boite hermétiquement fermée. Juste un petit rajout pour améliorer vos résultats. Mon amie Kaouther a testé la recette et a trouvé une astuce pour éviter les chutes de pâte qui ne donnent pas un aussi bon rendu. Il suffit de façonner votre pâte en boules de 25 à 30 gr (selon la taille désirée du t’charek), de l’étaler finement en forme ovale , de la garnir du boudin de farce et de rouler et façonner. Merci Kaouther ! Le Makroud , le roi de la siniya de l’Aïd ! Le makroud ( ou makrout) est un classique de la pâtisserie algérienne et maghrébine, qui doit toujours être présent sur les plateaux de fêtes quelque soit la variété des autres douceurs. Gâteau relativement économique car constitué de semoule, beurre et gherss (pâte de dattes écrasées) il occupe cependant la place d’honneur, il est même appelé le roi de la siniya ( plateau) des fêtes. J’ai sélectionné pour vous trois types de makroud , à vous de choisir et tester la version qui vous interpelle et qui vous donne envie. Le makroud au four classique de l’Est algérien. Makroud El makla du Constantinois, une version frite du makroud. J’ai choisi aussi de vous proposer deux versions de Maamoul parce que cette pâtisserie du Moyen orient est très proche de notre makroud et s’est totalement intégrée à nos habitudes algériennes. Les deux versions sont délicieuses. Les mguergchets sont de délicieuses pâtisseries algériennes préparées avec une pâte étalée finement, frite et arrosée de miel . Préparé avec peu d’ingrédients, ça reste un gâteau ancien très économique mais pourtant très alléchant et très apprécié par les hommes…je ne sais pourquoi?! C’est un véritable bonheur en bouche! Du croustillant et du mielleux harmonieusement associés! Avec un verre de thé ou une petite tasse de café…hummm je ne vous dis pas!! Je me suis toujours posé la question comment certaines mguergchets restaient si blondes et ne viraient pas au doré tout en étant parfaitement cuites et gonflées. Et c’est Makbilouche de Cuisine et contes qui m’a si gentiment répondu par sa recette familiale qui est préparée avec des blancs d’oeuf et qui contient peu de matière grasse et de ce fait elles sont très lumineuses et croustillantes . J’ai eu aussi l’occasion de retrouver la même recette chez Samar, mais façonnée en griwechs. – Dans un grand récipient mettre l’eau de fleur d’oranger , l’huile , le vinaigre, les blancs d œufs et le sel. -Avec un roulette dentelée découper de longues bandes de la largeur désirée. Les mettre dans un plateau et les couvrir d’un film plastique pour que la pâte ne sèche pas. -Arroser de miel aromatisé à l’eau de fleur d’oranger et saupoudrer de graines de sésame pour servir . -Pour une bonne conservation des gâteaux les garder dans une boite hermétiquement fermée , et n’arroser de miel que lors du service .